Many ways lead to the five star Hotel Villa Orselina. It is majestically located in the town of Orselina, high above the roofs of Locarno. On this warm spring day, we decide to climb up there the slow way, namely by funicular. Every fifteen minutes, a vintage cable car leaves the station in Locarno to Madonna del Sasso, a "must see" pilgrimage site built on a spectacular rock formation. Just a few steps from the funicular stop, the panoramic views of Orselina unfold. From the Magadino plain to the Italian borders of Lago Maggiore, we are truly stunned by the wide angle up here. And as we enter Hotel Villa Orselina, the views from a moment ago seamlessly continue in the lobby. Our eyes still stuck to the scenery behind the large windows, we are greeted by name and our luggage is magically whisked away to our suite. The friendly and smooth check-in would be just one of many magical moments during our stay. Because around every corner or curve of the winding staircase, another "wow" moment is waiting. This impeccable experience is the work of Daniel Schälli and his staff. Schälli is a young hotel director with a track record in the luxury hotel industry. And his true passion for guest service reflects on his staff, who in turn make us feel at ease at this luxurious house. Our suite comes with a knock-out view! Seriously, we cannot have enough of this bella vista! Statistics tell it all, because a good portion of hotel photographs were taken from one of the many windows - or from the balcony. After soaking in all the angles and perspectives, it is time to go poolside and float in that lovely heated water. 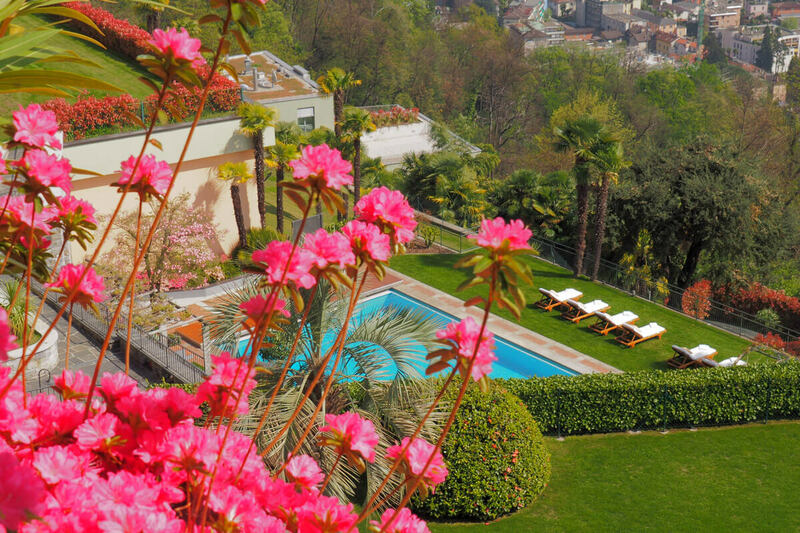 Throughout the weekend, Hotel Villa Orselina charms us with a culmination of remarkable examples of guest service. Be it the waiter who showed up at the pool after pushing a button on our wireless buzzer, or the chilled bottle of champagne that awaited us in our suite after a day out. They all add up to a feeling of pure bliss. Our stay at Villa Orselina could have not been more perfect! 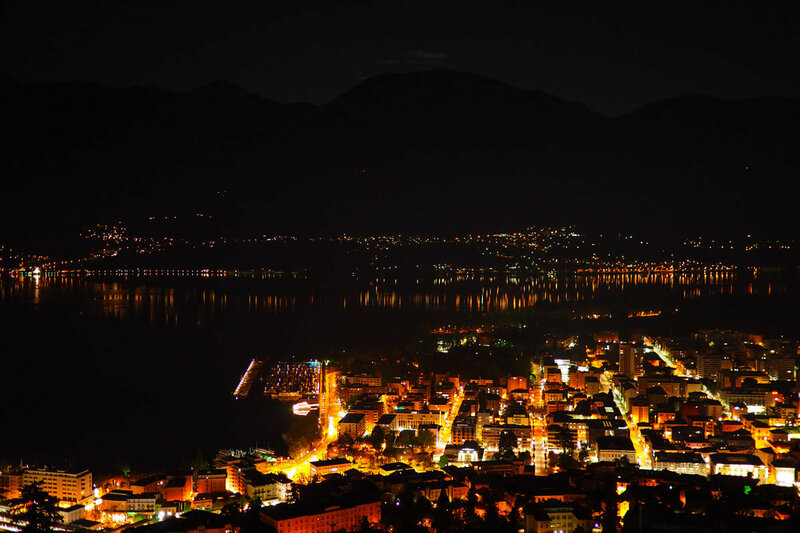 When we get back to the room, the romantic night views make us forget for a moment that we are in Locarno, less than three hours from home. To top it off, we have a great recommendation for a day trip in the region. Ascona is just a short ride away, and on top of its hillside at Monte Verità, there is an authentic Japanese tea house. Given our affinity with Japan, we were more than surprised to find a perfect replica of a tea house. Casa del Te might just be the nicest tea house outside of Japan, and they serve a perfect matcha green tea, with foam and all. From there, continue hiking along the posted path towards the town of Ronco sopra Ascona. We jokingly said that this hike is setting a new "benchmark" in terms of park benches... Truly, some of Switzerland's most scenic views can be had here, and we will be sure to repeat this hike someday. 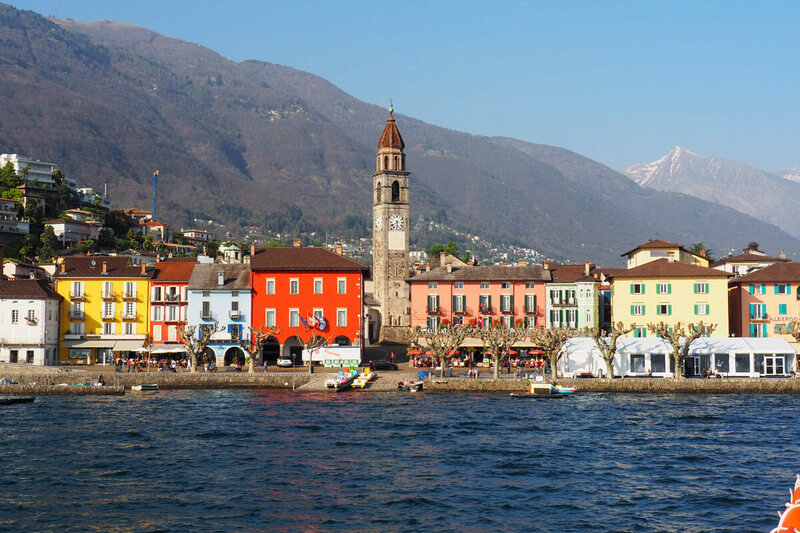 Once you arrive at the destination and have descended several hundred steps, hop on a boat to Ascona and finally back to Locarno. Do you agree that this is 100 percent pure bliss?